NOTE: The following documents are large, so it is recommended that you RIGHT-click (Macintosh = control-click) and save the target file to your drive. 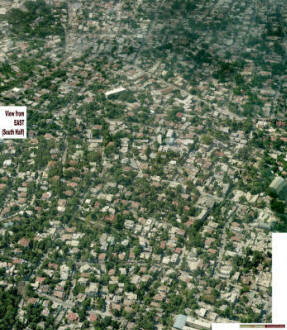 (1-a) CLICK HERE for the Google Earth " KMZ " file that locates on Google Earth all of the selected building images from the "Table-Top Survey." *see instructions below. 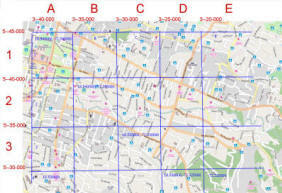 (1-b) (for GIS experts only) CLICK HERE to download the Shape File for GIS mapping of the Table-Top Survey selections in ArchView. **see instructions below. * I have invented the term "table-top survey" as a term for what the Pictometry oblique imagery enables us to to identify the heritage resources and see major damage to them within this large and spread-out district. This is the first comprehensive effort to carry this out - and others are encouraged to contribute to this list any properties missed, or those selected in error. 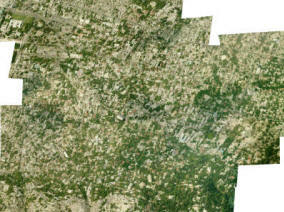 The KMZ layer allows one to see the selected sites in Google Earth (by number-not by image). 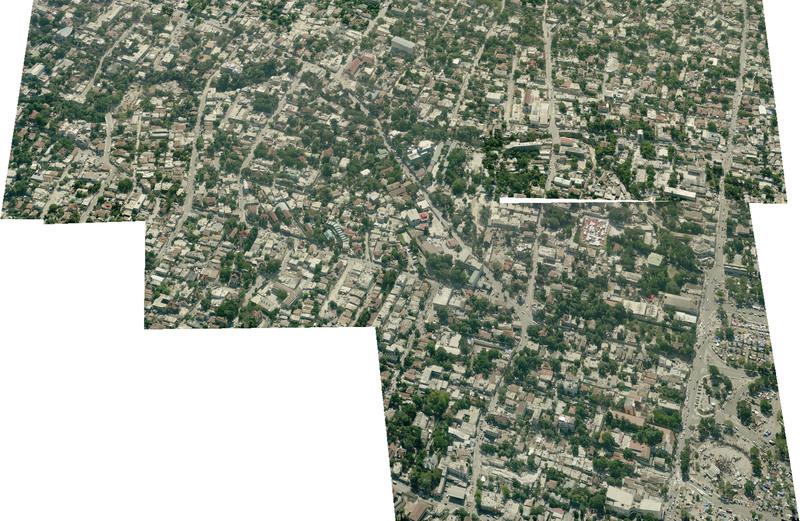 You must install Google Earth on your computer for this file to launch and to work. If you right-click and save the file - save it to your desktop on the drive which contains your system software. 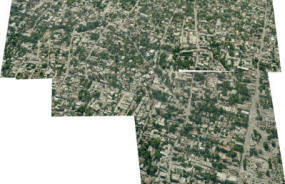 ** This ZIP file contains the group of files for placing the sites within the GIS software "ArchView" by ESRI. I do not have this software, so contributions by others to do this are requested. 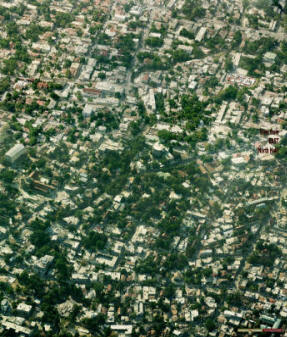 ALL OBLIQUE AERIAL IMAGERY IS COURTESY OF PICTOMETRY CORPORATION, New York, USA. Click on images below to see at full resolution. To download, Right-click (Macintosh='control-click') and select "save target as" (or words to that effect). 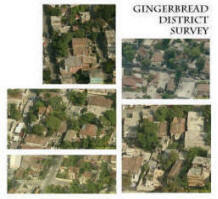 Map of the Gingerbread District showing the grid subdividing the properties in the "table-top" survey, #1 in the download column on the left. 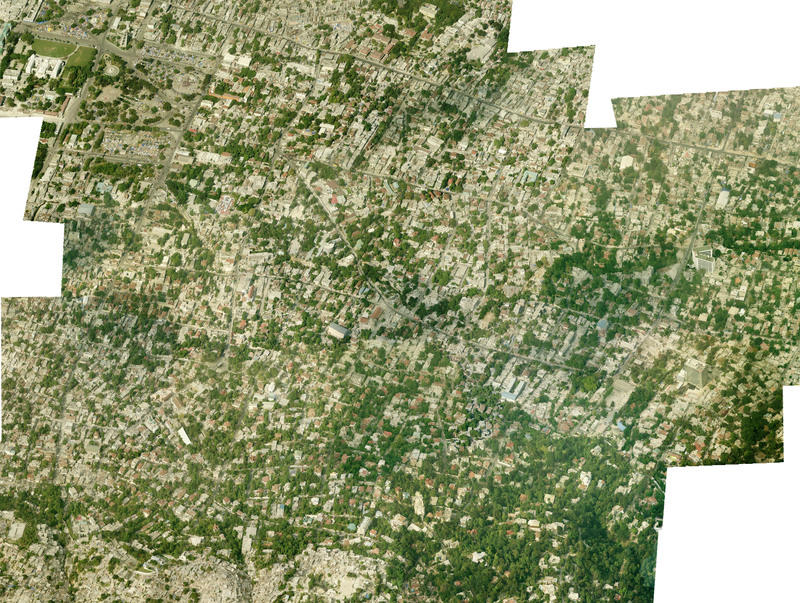 Each extracted image showing a building is identified in its filename by the latitude and longitude - which will allow this data to be keyed to a GIS map. 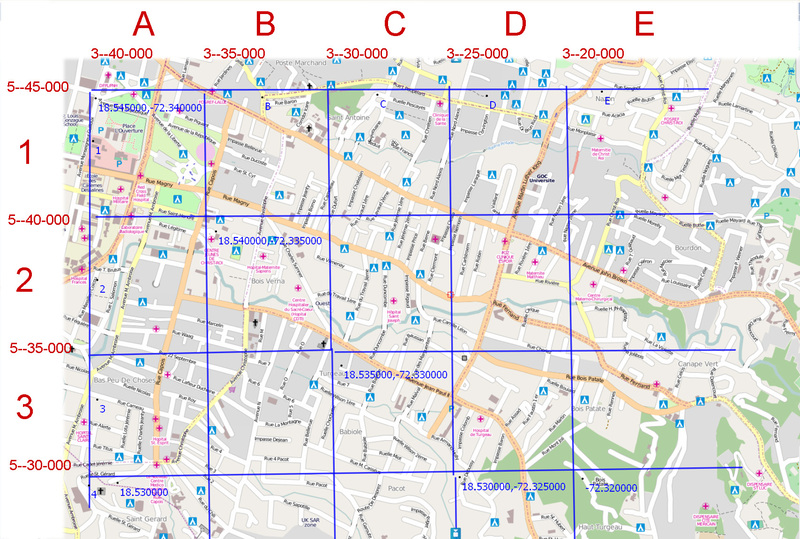 Using this map shown here, one can manually find the buildings as they are also labeled by the grid square. 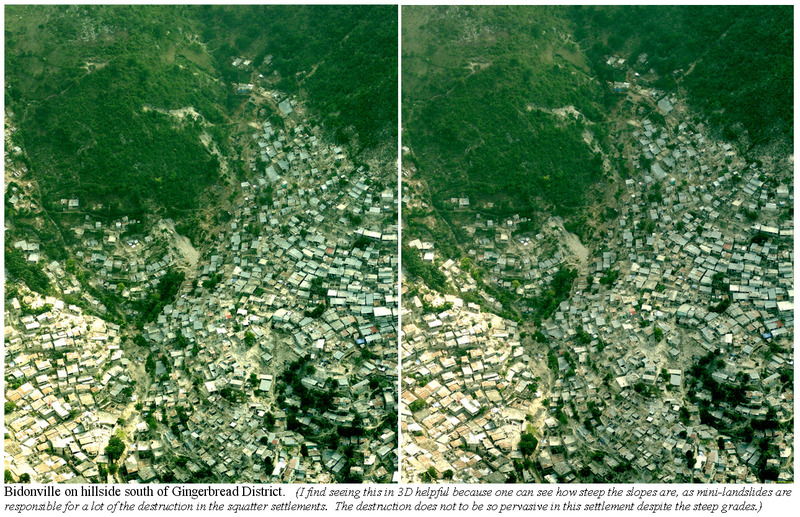 Map of Gingerbread District - the same as used for downloadable Atlas of Maps, #2 in column to the left. 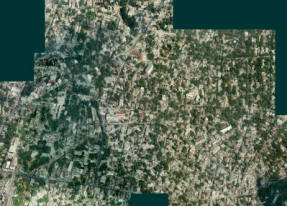 The Pictometry oblique images merged by Randolph Langenbach using Photoshop into a single mosaic. 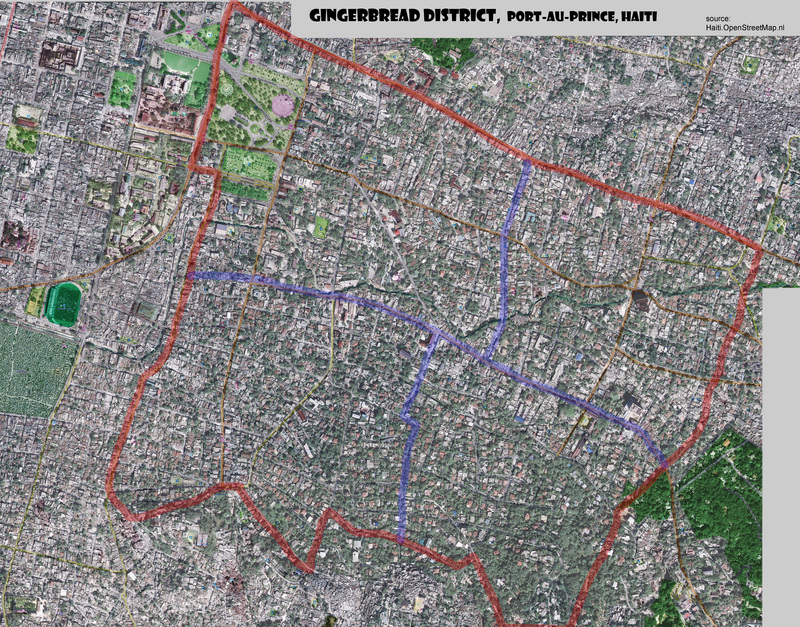 Map of Gingerbread District showing the street names most clearly. 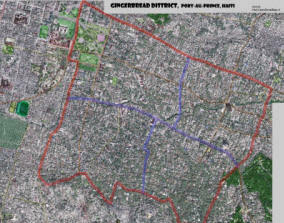 "Line Version" of Open Street Map from http://Haiti.openstreetmap.nl . 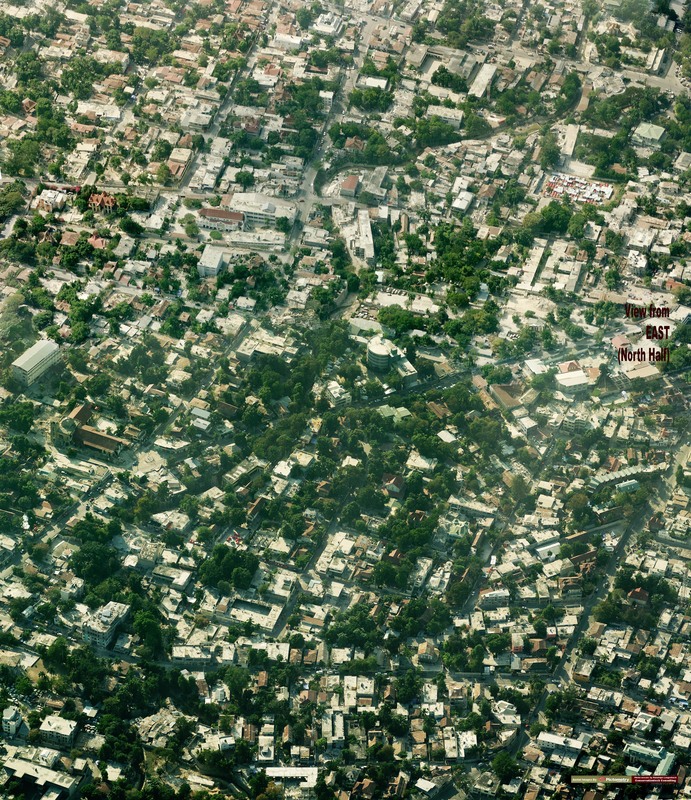 These two image pairs are meant to serve as examples of what can be done with the Pictometry data where two shots overlap side-to-side as the airplane moved. 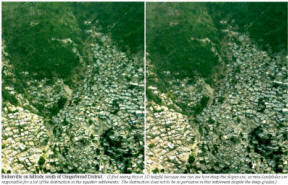 In the case of the informal housing on the hillside ("bidonville" in Haitian Creole) it is very instructive to be able to actually see how steep these hillsides are. Writings and photographs found on this website is ©Randolph Langenbach and other authors. For use permission, write to the address above.